Offered for the first time in over 40 years, presenting a rare and exciting opportunity to acquire a double brick, free-standing family home situated within one of Bellevue Hill’s most sought-after and tightly held streets. Set upon a leafy, tranquil and sun-drenched, 700 sqm (approx) parcel of land enjoying sweeping north westerly views. Whilst comfortably liveable now, this spacious home has been well maintained and offers tremendous scope to further enhance and capitalise in the future. Potential to add a 2nd storey, or recreate a brand new luxury residence capturing panoramic views of Sydney’s iconic H arbour , Bridge and Opera House. Currently spanning across one expansive level, featuring 3 metre high ceilings, parquetry floors, and ducted air-conditioning, a central hallway leads to generous living and dining flowing onto a large outdoor wrap around entertaining terrace and established rear gardens and lawn. A good size granite kitchen is luxuriously appointed with Miele appliances and ample cupboard space. Accommodation comprises of 3 large bedrooms, two marble bathrooms with spa bath and an oversized internal laundry room. Complete with a single lock up garage, the lower level is also accompanied by a versatile vast storage room. 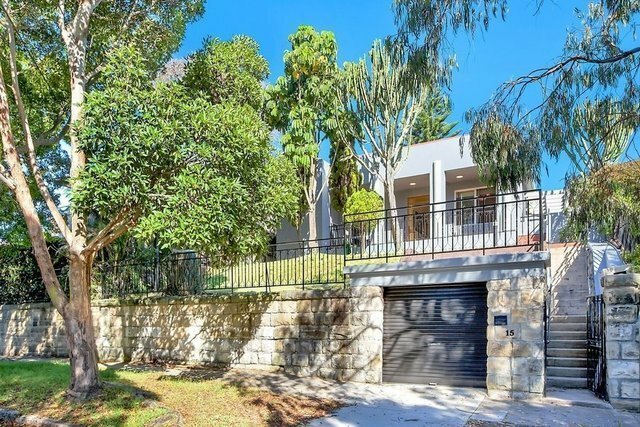 Prestigiously located in an exclusive blue ribbon address, within walking distance of Bellevue village shops, Cooper Park, places of worship, popular schools, close to cosmopolitan Double Bay village, Bondi Junction and public transport.